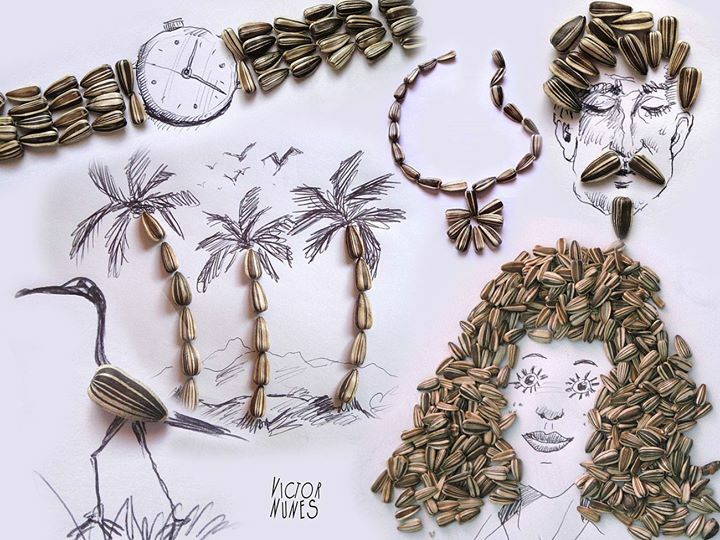 Creative artist Victor Nunes has created a series of 3d illustrations using household objects. 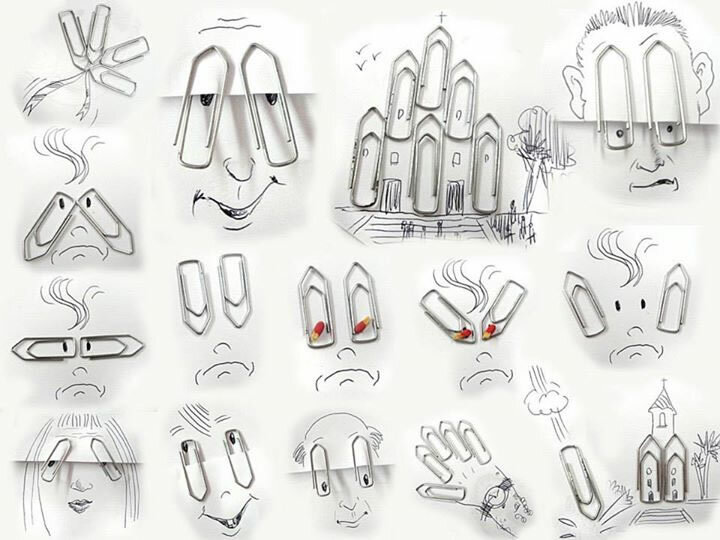 By surrounding different objects with simple line drawings, he creates playful illustrations. Popcorn turns into faces, lettuce into hair and dresses, scissors into animals and pencil shavings into mohawks and wings. 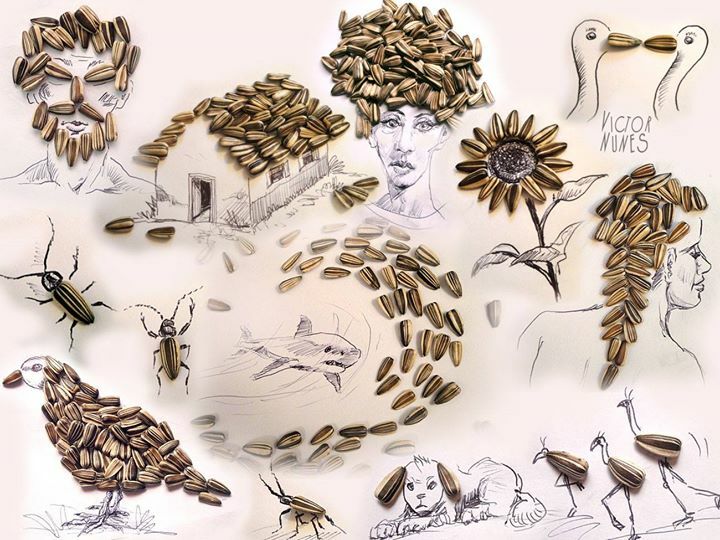 Which of these 3d Illustrations do you think is the most creative? A small amount of material is released onto a surface, leaving a visible mark. The most common support for drawing is paper, although other materials, such as cardboard, plastic, leather, canvas, and board, may be used. 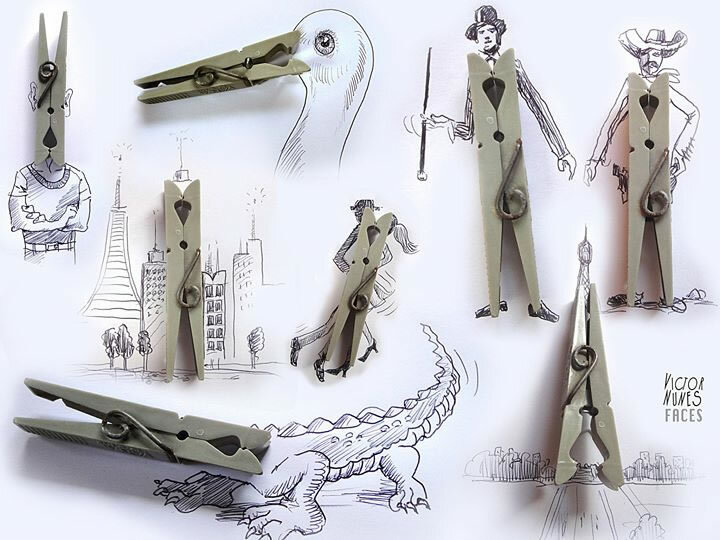 Temporary drawings may be made on a blackboard or whiteboard or indeed almost anything. The medium has been a popular and fundamental means of public expression throughout human history. 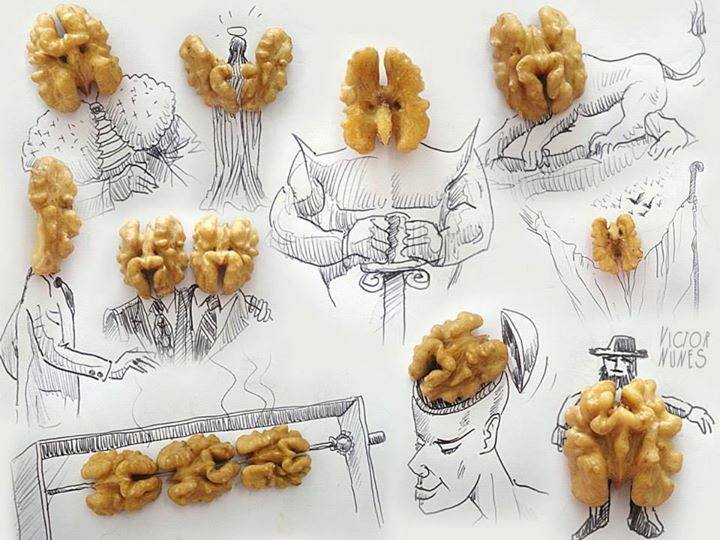 It is one of the simplest and most efficient means of communicating visual ideas. The wide availability of drawing instruments makes drawing more common than other media.